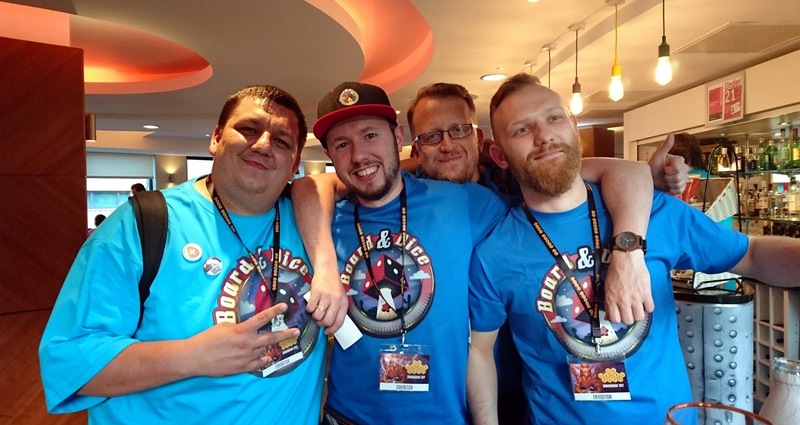 It's official: the UK Games Expo is currently the world's third largest board gaming convention having welcomed over 16,500 unique visitors to the Birmingham NEC and Hilton Metropole over the last weekend, including a very excited and over-caffeinated me. Century: Spice Road (published by Plan B Games) was the talk of the Expo; everyone seemed to either have a copy or be searching for one, and with good reason. Designed by Emerson Matsuuchi, Century: Spice Road is a light, simple filler game where players guide their caravan along the silk road, trading spices as they go. Players build a hand of cards that allows them to take and swap different spice cubes, working towards trading them for victory point cards. Apparently this is the first in a series of games and I'm excited to see what's coming next. I'm hoping to write a review for this soon, as it was one of the first things I bought at the Expo and one of the best demos I played over the weekend! Catch the Moon (published by Bombyx) is an eye-catching dexterity game designed by Fabien Riffaud and Juan Rodriguez (in a massive departure from their previous title, The Grizzled). Players hook ladders on top of each other to go as high as possible in order to reach the moon, with a dice roll determining how many other ladders your next ladder has to touch. If you place wrongly or clumsily knock the tower down, you upset the moon and gain a teardrop. The game requires a combination of balance, imagination and luck; needless to say I didn't fare too well, but I thought it was a very sweet, fun little game that I'd like to pick up when it comes out later this month. When I Dream (published by Repos Production) is a party game where you, as the 'dreamer', wear a handily provided sleep mask and your friends attempt to describe dreams to you using Dixit-esque picture cards marked with one target word. The only problem is that some of these so-called 'friends' are trying to make you get it wrong. Correctly guessed cards go into one pile, incorrect ones into another, with players scoring points according to the size of their respective piles. Others can be on a team who score according to how even the piles are, so they'll be switching sides throughout the game just to make sure your brain really hurts! This looks like a great idea (even if the blindfolding idea could go so very wrong) and a lot of laughs, so I'd love to take a better look at this when it comes out in October. Secrets is a hidden role game from Repos Production, designed by Bruno Faidutti and Eric M. Lang. I only glanced over this at the press preview but luckily got to play a game of it later on courtesy of Esdevium. In Secrets everyone is assigned a hidden team, either the CIA or KGB, using lovely giant tokens which are kept face down in front of them. Everyone is trying to collect the most points for their side, unless you happen to have been given one of the Hippy tokens, in which case you are working to 'fight the Man' and have the fewest points. On your turn, you draw two agent cards and offer one to any other player. These cards are worth points and have various token swapping and checking abilites. The player can either accept the agent, in which case they score it, or refuse, in which case you score the card instead. The game ends when a player has five cards in front of them and the final points are counted up. 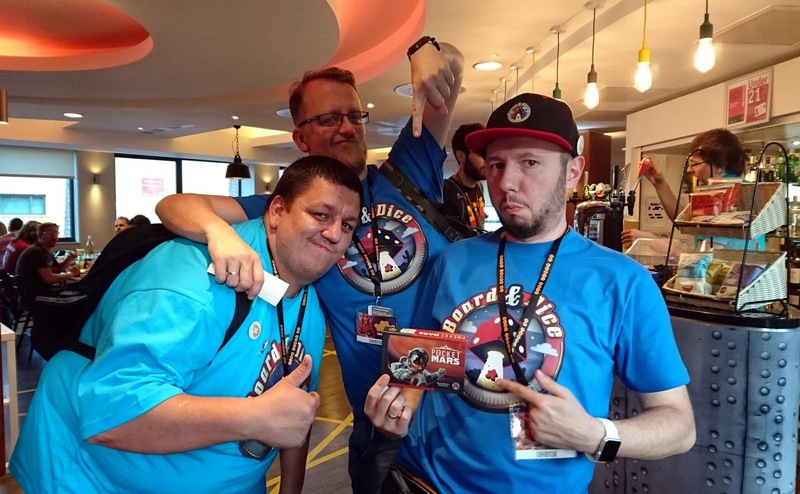 We played with a full complement of 8 and it played really well, with a huge amount of player interaction, accusations, bluffing and double bluffing. It was quick to teach and really fun - can't wait for it to come out in August! Unlock! is a co-operative escape room card game published by Space Cowboys and designed by Alice Carroll, Thomas Cauët and Cyril Demaegd. It uses numbered cards to simulate searching the room, combining items and solving puzzles - so clever! The game runs in conjunction with a free app which you use to time yourselves, enter codes and ask for hints. Demonstrating any of the scenarios in the box would effectively ruin part of your new game, as these are one-shot style puzzle decks, but Esdevium had handily provided an additional, shorter demo deck for to allow you to try the game out. This gave everyone a great feel for how the system worked and left me feeling excited to try out 'The Formula', 'The Island of Doctor Goorse' and 'Squeek & Sausage', the three adventures included in the Escape Adventures box. The next set of decks arrives in August, with three new puzzles to solve in Unlock! Mystery Adventures. Dice Forge was definitely one of the prettiest games I saw over the weekend. The dice used in the game have removable faces that you pop off and change, so I was immediately sold on the toy factor! I have a few dice games in my collection now but none quite like this, where I can mitigate some of the usual luck-based gameplay with some strategy behind the upgrades. That's a Question (working title, prototype) is a new party game from legendary design genius Vlaada Chvátil. I'd heard mixed things about this going in, so it was with a skeptical mind that I sat down for a demo later on at the CGE stand. The game format isn't an unfamiliar one; a player asks a question of another player, then everyone except the questioner votes on what the answer will be. The difference with this game is that the questions are constructed from a colour-coded prompt ('What do you consider generally worse? ', or 'What would you rather choose?' for example) and a choice of answers from a hand of little hexagonal cards. With previous CGE hit Codenames coming from the same designer it would be fair to have high expectations of this game. Right now I'm still on the fence, although our demo game was good fun. I think it's the sort of game that needs the right group of people in the right mood, and also relies heavily on what answer cards come up in your hand to create the more amusing or difficult choices. Codenames Duet takes the original Codenames word association format and changes it into a co-operative game, with the two teams now working together to find all of their agents instead of against one another. Key cards in Codenames Duet are double-sided, showing nine agents on each side, three of which are common to both. The teams need to identify all of the agents without revealing any assassins (there are now three on each side!) or too many innocent bystanders. The box also includes a campaign mode, where players can work through progressively more difficult games to see if they can beat the final level. I'm not sure if I'm all Codenames-d out at this point, with the original and Pictures versions already on my shelf, but as Duet is co-operative I might just have to try it. I'm really sad to have missed a demo of this, but just couldn't fit it in in the end, so I'll have to hang on until it comes out in September. Adrenaline, the first-person-shooter board game, has an expansion due out at Essen Spiel in October this year which ups the player count from 5 to 6 and throws in rules for team play. We're in need of some higher player-count games and I've wanted to get this since the last UK Games Expo, so I picked up a copy of the base game with the intention of adding in the expansion when it's available. I can't wait to try this out! Pocket Mars is a heavy weight filler card game for up to four players designed by Michał Jagodziński, where our objective is to set up an infrastructure for the first colonists to arrive on the planet. Cube-shaped colonists move from Earth to space shuttle to planet in an attempt to get as many of them as possible into the settlement buildings. To do this you use actions on your cards, which differ depending on whether you're playing them from your hand or from face down on the table (known as your 'prep module'). Other players can also use cards in your prep module on their turn if they want to trigger the ability of a particular building, which can potentially throw a real spanner in the works. Whilst there are a lot of games out there at the moment themed around Mars, this is the first one I've actually bought! There's a lot to think about in Pocket Mars relative to the size of its tiny box and I've really enjoyed the couple of games I've had so far. SUPERHOT Card Game is a micro deck-builder game designed by Manuel Correia, based on the first-person shooter video game of the same name. In SUPERHOT, time only moves when you move - an idea that sounds like it should translate well to tabletop gaming! I'd been put off of this initially because I thought it was only a one-player game, but it turns out you can play with one to three players in various configurations of player versus system. A line of obstacles (enemies, scenery, objects) moves towards you and you have to choose how to deal with each one. The cards you use to deal with them are discarded to the obstacles pile, while the obstacles you don't deal with end up in your personal draw pile, so it's a case of figuring out what the best balance is. I thought it was a clever-looking concept, but having already been sold on Pocket Mars I chose to leave this one on the shelf for now. Dice Hospital from designers Stan Kordonskiy and Mike Nudd is coming to Kickstarter later this year and looks like a clever little worker placement game. Dice patients arrive at your hex-based hospital in cardboard ambulances ready for treatment, with the number of pips on the die representing how healthy a patient is. Actions on your hospital player board allow you to treat the patients by manipulating the number on their die, helped by meeple doctors. It's all very Theme Hospital and I definitely have to play it, although I hovered around the Alley Cat Games stand quite a bit over the weekend but didn't end up getting in for a demo, which is a shame! 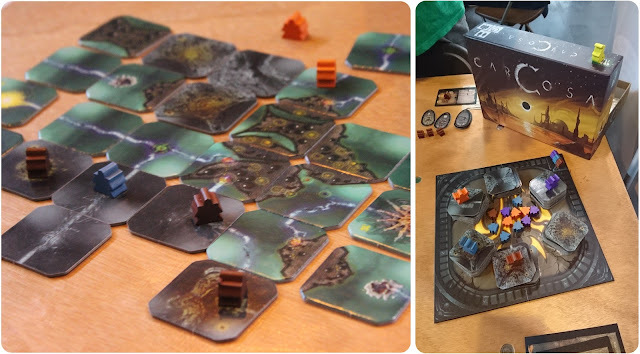 Carcosa bears a striking similarity to a Lovecraftian version of Carcassonne on first glance. However there are lots more mechanisms at work here, with lots of strategy to the double-sided tiles that you draw and cultists to drive insane or sacrifice to impress the King in Yellow. The artwork on this game looks really cool, but I think for now I have enough similarly themed games on my shelves. If you want to check out the Kickstarter campaign, though, you can have a look here. Wordsy is a nice straightforward word game for 1-6 players designed by Gil Hova (designer of The Networks). Each round a grid of 8 consonants are laid out in two rows of four, with a score card underneath each column (5/4/3/2). Players think of a word that includes as many of the letters as possible - you can add as many other letters as you need, but these won't score any points. When the first person writes down their word, they flip an egg timer and everyone else needs to have written down their word before it runs out. The words are then scored and a new round begins. After seven rounds, players add up the scores of their five best words and the player with the most points wins. If, like me, you managed to miss the Kickstarter campaign for this, Wordsy will be available from the third week of August. Trying out new games aside, there are plenty of other things to keep you busy at the Expo. 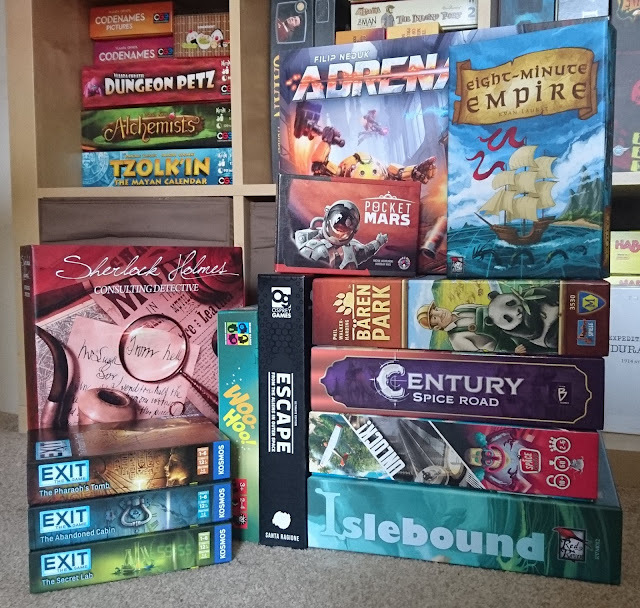 Obviously there's a lot of shopping on offer, with bigger online retailers like Gameslore and Board Game Guru emptying out their warehouse for the weekend to feed our cardboard addictions. There are are also plenty of smaller retailers selling games and accessories like dice, tokens and box inserts. Make sure you shop around though, as prices can vary from stand to stand, sometimes by as much as £10! In the absence of a lottery win, however, my first purchases of the day were Pocket Mars and Century: Spice Road. I hadn't tried either game at that point, but I had firmly taken my seat on the hype train and didn't want to miss out. A good thing too, as it became almost impossible to pick up Century by the end of the Expo. I also grabbed a copy of Barenpark by Phil Walker Harding, because... bears and tetris tiles! This year I decided that I'd clear some space and take along a pile of games to sell at the Bring & Buy run by the Expo. This was a lot easier and more efficient than I'd imagined; I pre-registered the games online, brought them to the hall (admittedly queuing for half an hour, as I think I picked peak drop-off time), applied the stickers I was issued with and released them into the wild for other people to buy. There's a £1 per 10 items charge for selling through the Bring & Buy, along with a 10% commission charge on all sales, and all profit goes to the UK Games Expo's nominated charities. There was a packed schedule of seminars and live entertainment events this year. I sadly couldn't fit in any of the seminars, but I did see lots of the live shows. I was too far away for good pictures, so please bear with me! Pandemic: Live pretty much does what it says on the tin; it's literally a game of Pandemic, played in front of a crowd. Supervised by comedian (and 2015 UK Carcassonne champion) James Cook, an elite pandemic-fighting team consisting of Zee Garcia (The Dice Tower), Paul Grogan (Gaming Rules!) 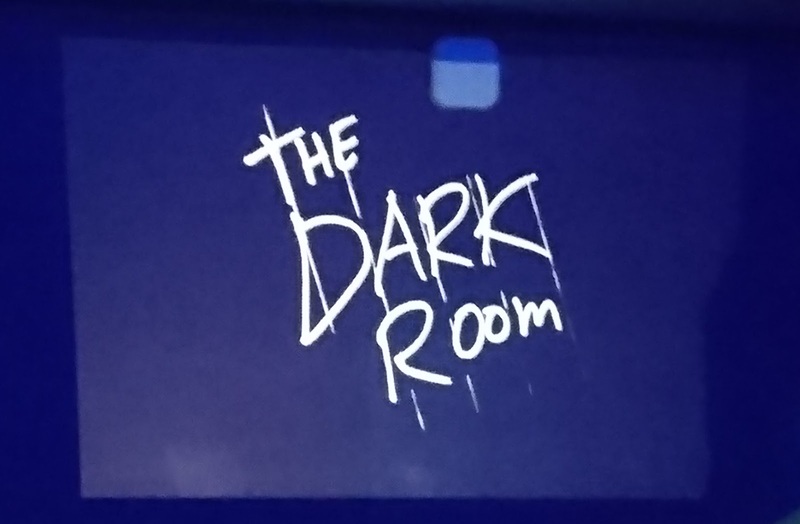 and John Robertson (The Dark Room) took on the diseases of 'Posh', 'Darren', 'Covfefe' and 'Strong & Stable' with the audience helping out as the fourth player. The audience were allowed to pick the difficulty level and, clearly wanting a shorter show for their money, settled on hard mode. Despite eradicating Posh, the world was ended by an 8th outbreak and the game was lost. This was a cause of much celebration for the Concept of Disease, something I won't go into here - I'll let you go and see the show! 'There's jelly afoot, let's get the vicar' - just one of the amazingly surreal moments to be experienced in Paul Flannery's MMORPG show, a roleplay adventure where the characters, epic quest, locations and monsters are all sourced from the crowd. Success (or critical failure) is decided by a giant D20. Our quest was for The Other Glove, tasked to us by an octopus (with only seven gloves). This was successfully retrieved from an old people's home in a tree house in a forest following a gripping final fight between Peebly (the half house, half elf thief) and an evil wing-back chair with wings. At some point there was a Unicornetto, but I think I lost track... Great fun and lots of laughs. 'You're in a room!' A phrase that sends anyone around my age crashing back to their childhood and the wonders of watching Knightmare on TV as a kid. Enter, stranger! This is a must-see show for anyone who has ever stared angrily at a text-based adventure game, or indeed for anyone who likes fun. 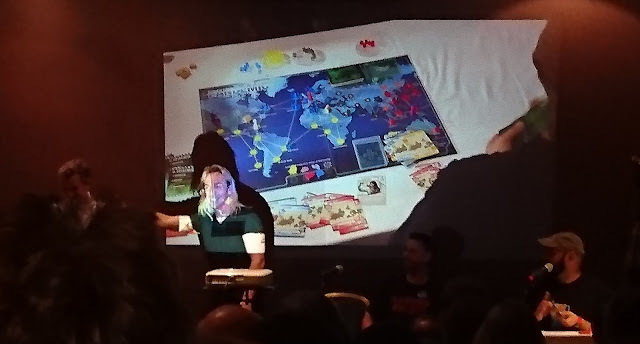 My comments from last year entirely stand: John Robertson was both hilarious and terrifying as the host of an interactive retro gaming experience that comes complete with its own catchphrases and awful prizes. This year the food fair expanded onto two sites: Chow Street Food Festival (at the Hilton) and Cook Street at the Lake (near Resort World). The queues could get pretty long, but it was nice to meet new people while waiting, including getting to say hello to Zee Garcia from the Dice Tower in the lunch queue and assuring him that yes, he had seen me around a lot and no, I wasn't stalking him! Once you've gotten your hands on those shiny new games it's only natural you'd want to break them out and play. 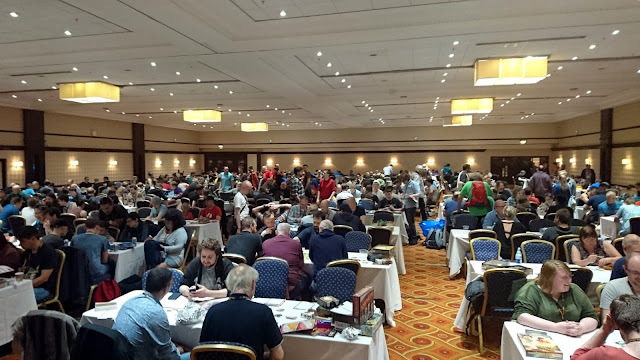 The UK Games Expo provides lots of open gaming space for just this purpose, both in the main NEC hall and at the Hilton hotel. If I could improve anything about the Expo it would be the availability of this space, though. There were plenty of times during the weekend when we just couldn't find anywhere to play and it felt like we were missing out on some valuable gaming time, spending more time wandering about looking for a table than actually playing (or seeing new games). The lack of space did allow us to fit in some well earned rest by the lake though, getting in some rules reading in a gap between shows. Turns out I needn't have been so terrified. Once we had the explanation part covered, the game turned out to be really straightforward and had surprisingly little downtime for something so meaty-looking, even with five players. I really enjoyed playing and have firmly added Scythe to my wishlist! I love how different each of the factions is, from design of their actions down to the components themselves. The upgrade mechanism is clever too, where you move a cube from the top of the board to the bottom, uncovering an extra benefit and covering over a cost. Clever design, fun gameplay and beautiful artwork. It did, however, eat up a large chunk of the day, so after another spin around the shops and a lot of goodbyes it was time for me to head home and say goodbye to the UK Games Expo for another year. As crowded as it may feel at times, the Expo is always such a friendly place - from the hardworking organisers, volunteers and staff on the stands to people chipping in with recommendations when you're dithering over a purchase, to sitting down to demos with strangers and getting along brilliantly. It was pointed out to me by a friend that for such a potentially introverted bunch, we gamers are happy to talk to each other with confidence about the things we love and I think that's possibly one of my favourite things about the Expo. Thank you to everyone involved for another awesome weekend! 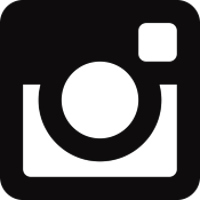 If you enjoyed this post you can find lots more photos on my Facebook page or come and say hello on my Twitter or Instagram feeds!